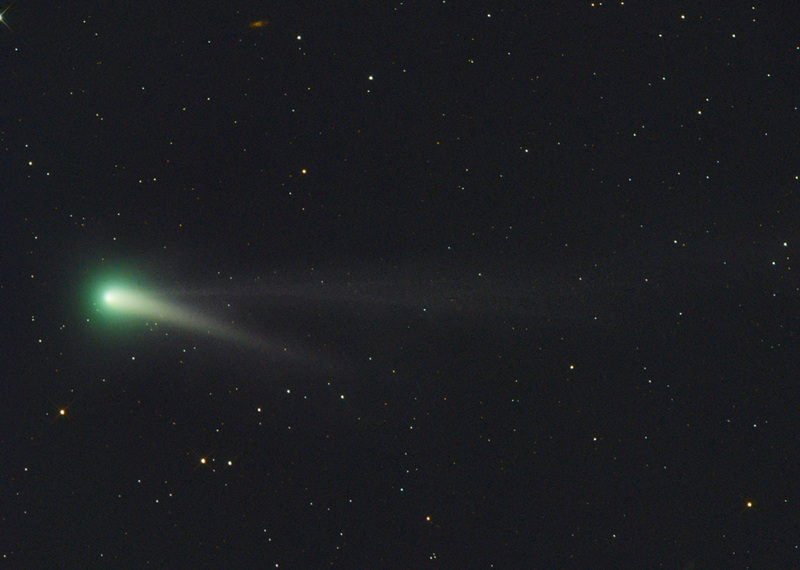 C/2012 K1 (PANSTARRS) was discovered as magnitude 19.7 object at distance of 8.7 AU from the Sun on 19 May 2012 using the Pan-STARRS telescope located near the summit of Haleakalā, on the island of Maui in Hawaii. By late April 2014 it brightened to roughly apparent magnitude ~8.8 making it a small telescope/binoculars target for experienced observers. This image shows the comet on the night of June 22 nd 2014 when the comet was near the tiny spiral galaxy NGC 3067 (in upper right corner). It is a composite of 5 RGB sets of 2 min. exposition each. Seven combined 5 min. 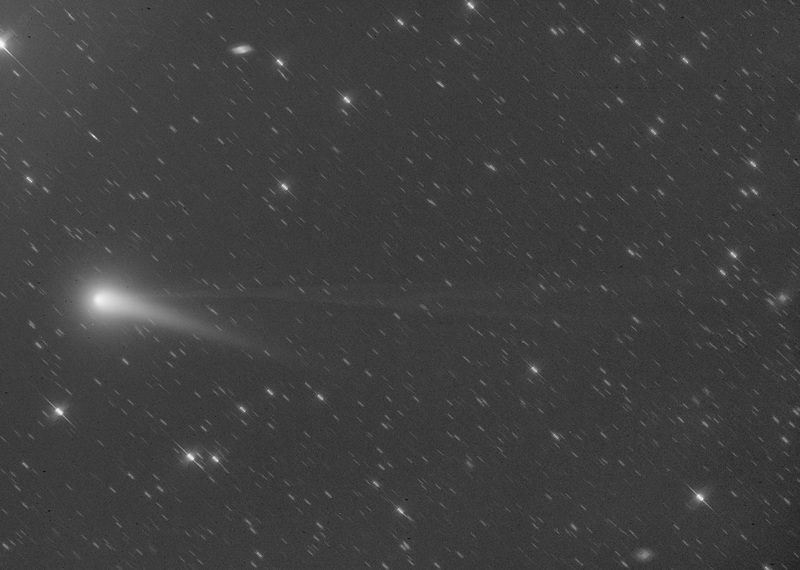 L frames with a tracking on the comet were added in order to increase the signal in the comet's tail.